Ever wonder what would happen if someone sent you a random box of items from the thrift store and challenged you to transform them into a new use? Me too! And that’s what #swapitlikeitshot is all about. A big group of bloggers agreed to this chaos, and each of us spent $10ish dollars at the thrift store and shipped a box to someone else. I’ll show you what I bought and who I sent it to at the end of the post – so fun! The mailman brought me three items from my good friend Angela from Blue i Style. I admit having a total advantage in this challenge because she knows me very well. We’ve got a ton of things in common, including an obsession with organization, so she picked out things I would have grabbed for myself. We also share a love of Gilmore Girls, NYC, and deviled eggs. Strange, but true. 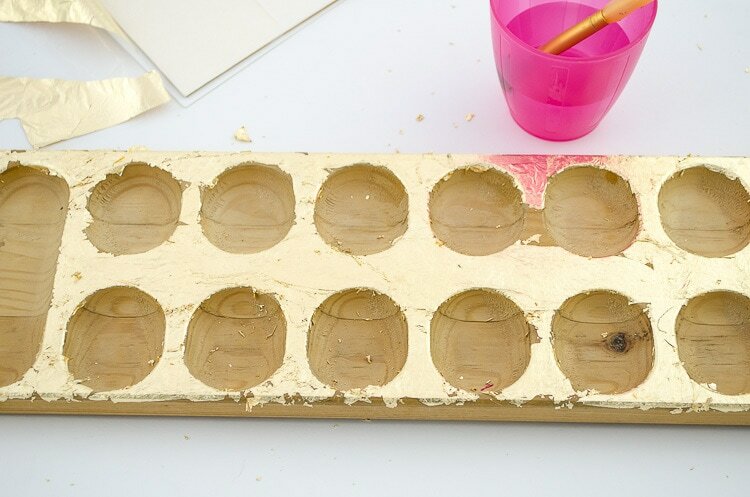 The wood tray is actually a Mancala game board, even though it looks a bit like a deviled egg holder. Maybe it’s just me? I also received a set of acrylic cracker servers and a cocktail shaker, which was picked out by Angela’s husband. Thanks Scott! I have ideas for all three items, but just had time to tackle one of them this week. I have some beautiful jewelry that was my Gram’s, which I set aside from the “regular” stuff. 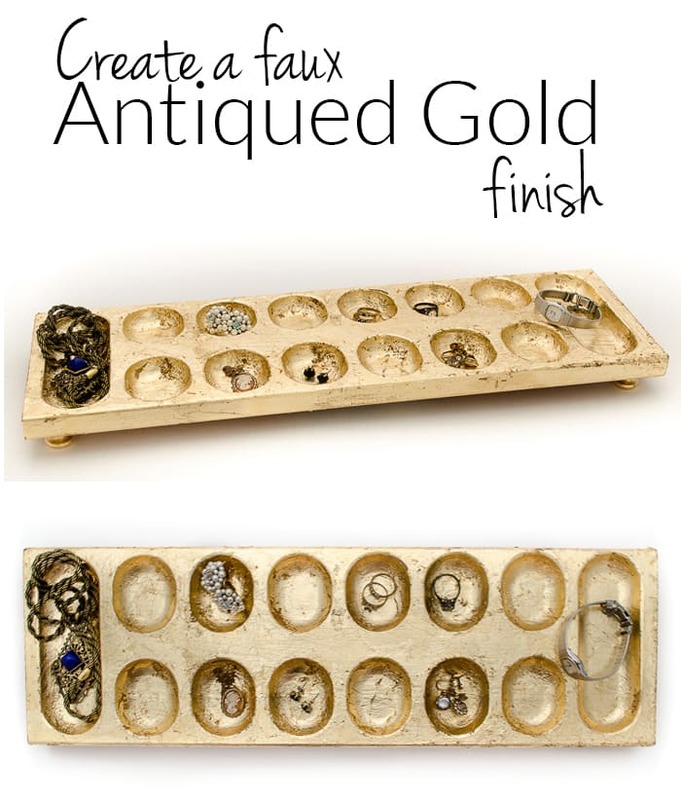 The mancala board was the perfect new home for it, but to keep with the whole spirit of Swap It Like It’s Hot, I needed to updated it to better fit in our house. I thought about spray painting it gold, but I wanted to do a bit more of a transformation. After wandering around Hobby Lobby searching for inspiration, I realized this was the perfect chance for me to try gold leaf! I started off just gold leafing the top, carefully painting the adhesive around the openings. But, it’s pretty tricky to get a clean line with gold leaf. I think it’s probably doable, if you have patience and time. I save my very limited patience for big projects, so I ended up changing plans. I decided to gold leaf the entire thing AND give it a rough vintage look. I wanted it to look like it had been holding the antique jewelry for decades. To get the look, I layered on the gold leaf, letting it crumple up. In some places, I used full sheets and in others, I tore the leaf to get rugged edges. I also used a paint brush that was damp versus using a soft dry brush as you normally would. Then, I took a piece of tissue paper and rubbed it over the whole thing with varying pressure. In some spots, I even rubbed enough to let the wood show through. With the finish figured out, I also super-glued some small wooden drawer pulls to the bottom of my new jewelry tray to elevate it a bit. It looks even more like an intentional jewelry tray with the feet. The roughed up look isn’t quite right for my sleek dressing area in the closet, but I’m thinking it might work really well in the bedroom on the dresser after our upcoming makeover. Wherever it ends up, I love having a special place for the special jewelry! 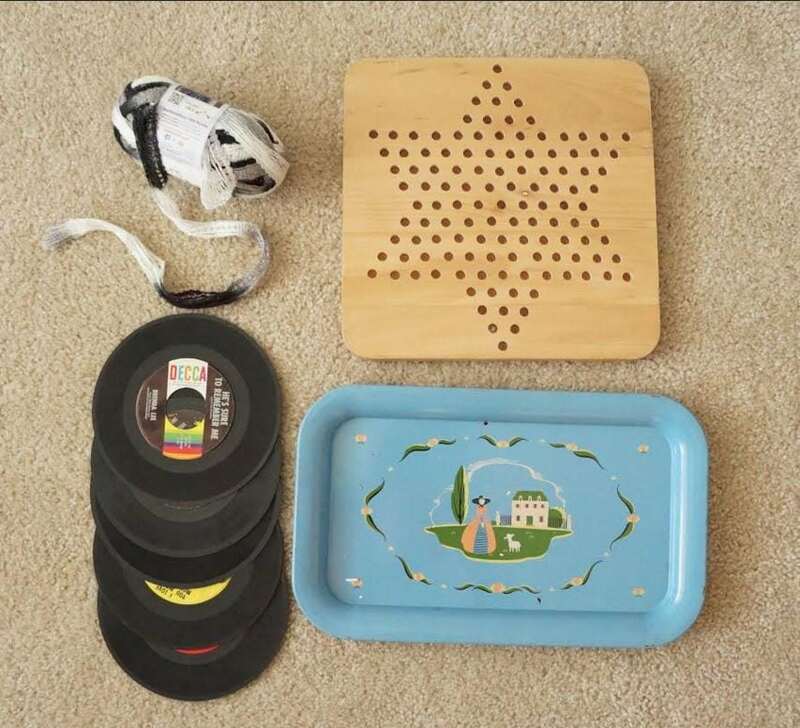 Now that you’ve seen what I made, check out the items that I purchased and mailed off to Emily from Two Purple Couches. I can’t wait to see which items she used! Thanks to Charlotte from Ciburbanity for coordinating and hosting this fun event. It’s actually going on all week, so make sure you check out all the participating blogs! Great transformation! I need your jewelry organizer to go with my bracelet organizer! I just love the simple elegance of the gold leaf…such a pretty piece now! Melissa, What a great job you did on transforming that simple dish into a chic jewelry organizer. And I can’t wait to see what you do with the other items. Melissa! That is so cute! And…gold <3 love. Also, that used to be one of my favorite games! Now I'm itching to play again! I thought it was cool and then saw you added the feet! What an unexpected difference the feet made! Such a great project. that is gorgeous! 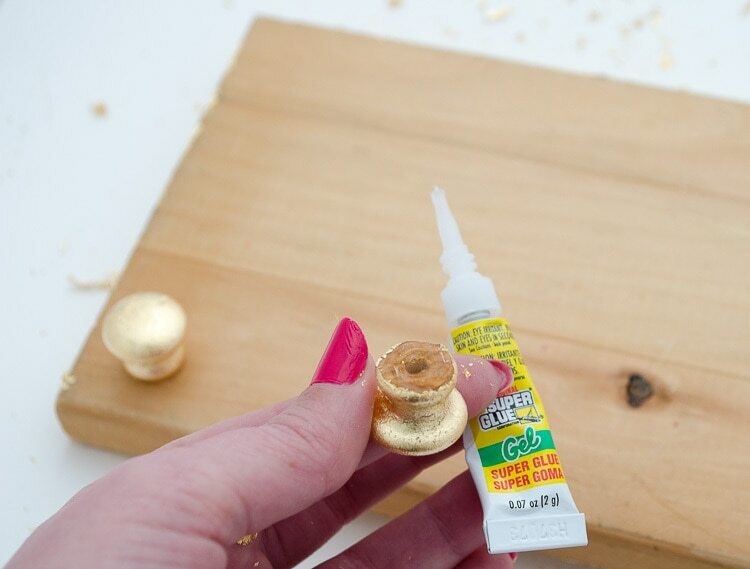 i love gold leaf and always want to leaf all the things when i use it! 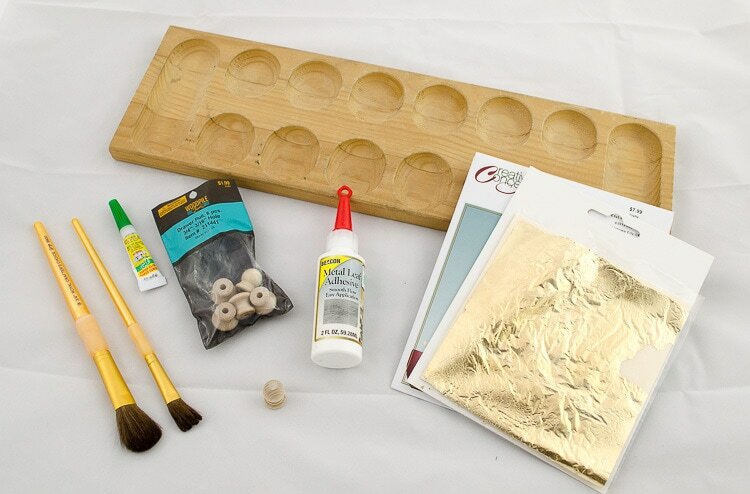 Great transformation, I love how you added gold leaf to your mancala board. Amazing job! 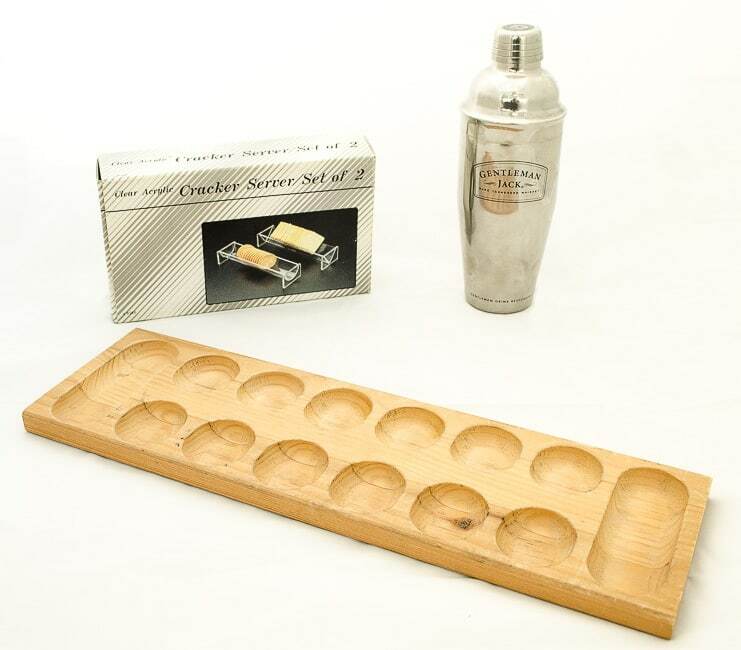 I totally thought it was a deviled egg holder, too! HA! So cool! Oh my goodness, I LOVE that rustic gold finish. You’ve inspired me to find some to add some gold glamour to. Awesome job! I love that you keep your grandmother’s jewelry separate! I’m a sentimental one, for sure. Also love the game board you sent Emily. Great job on the gold leaf- I have yet to try! Love that you added feet, perfect touch. Very cute! I totally found the perfect uses for the triangle AND rounded cracker holders! Im using them as is now, and have plans to glam them up a little for permanent use. I’ll let you know when I post them!